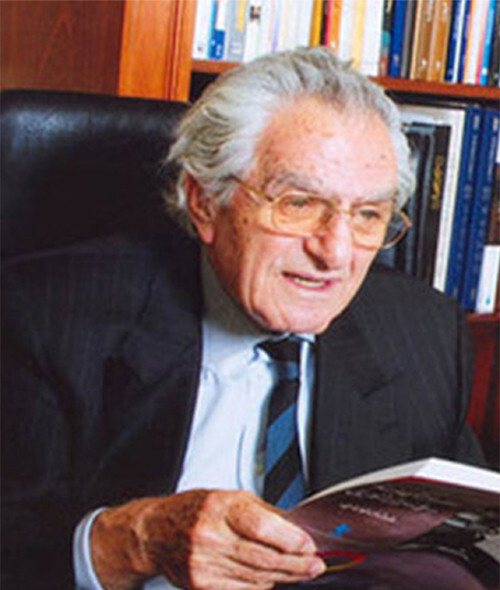 Mr. Ghassan Tueni was a leading Lebanese journalist, politician, diplomat and educator. Through his direction and thousands of editorials written over the years, he has made his newspaper, An-Nahar, a compelling and trusted voice in Lebanon and throughout the Arab world. Tueni began his AUB career as a BA student in Philosophy at the American University of Beirut in 1945 and afterward completed an MA in Political Science from Harvard University. Tueni was appointed the special envoy to the United Nations and the United States as well as the special representative of the director of UNICEF and extraordinary envoy for a special mission to the Gulf. In 1977, the journalist was appointed Ambassador and permanent delegate for the Republic of Lebanon to the United Nations. He was a prominent contributor to the UN Resolutions especially the historic Resolution 425 that demands the withdrawal of Israel in Lebanon leading to the establishment of the United Nations Interim Force in Lebanon (UNIFIL). Tueni has mourned the loss of his wife and three children. His wife Nadia Hamade and daughter Nayla died after battling cancer, his son Makram was killed in a car crash and the other son, the MP, and journalist, Gebran Tueni, was assassinated in 2005.